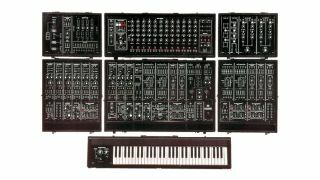 Roland's classic System-700 is one of the inspirations for the System-500. MUSIKMESSE 2015: As well as confirming the launch of the Aira Modular synth and effects range, Roland has also announced that it's working on a new modular analogue instrument known as the System-500. In a statement, the company says: "Roland is also pleased to announce the development of the System-500, an all-new, fully analogue modular synthesizer based on two of the most revered electronic instruments of all time - the System-700 and System-100m. Designed exclusively for Eurorack, the System-500 delivers classic Roland sound with all the advantages and reliability of a modern instrument." When this instrument will be available and how much it will cost remains to be seen, but we'll bring you more news as we get it.